Joran Van der Sloot, suspected killer of Natalee Holloway and now Stephany Flores keeps looking worse: now he's accused of trying to sell information about the Holloway case for $250,000. Due to lack of evidence, Van der Sloot was never charged in Holloway's disappearance. But he apparently knew enough about the crime to offer an unnamed buyer information about the location of Holloway's body, and the details of her death — for $250,000. He had received a down payment of $15,000 before he was charged yesterday with extortion and wire fraud, the same day he was arrested for the murder of 21-year-old Stephany Flores in a Lima hotel room. U.S. Attorney Joyce Vance says the timing was "a coincidence," but it's clear whether the extortion charge was the result of a sting, or who Van der Sloot's prospective buyer actually was. The most obvious would be someone in Holloway's family — her father has given no indication of involvement, offering only the somewhat restrained condemnation, "There's no doubt van der Sloot's a bad kid. He screwed up and he needs to be locked up somewhere." That Van der Sloot is a "bad kid" (he's either 22 or 23, depending on which news service you believe) is pretty much the accepted wisdom at this point. Even his former lawyer, Joe Tacopina, is distancing himself. He told Radar Online that, "At this stage I wouldn't agree to be his attorney because the Joran of today has gone down a very disturbing path in life," adding, "The only reason I got involved in the case is because we did a two month investigation and believed he had no involvement in the murder or disappearance in Aruba. However his behavior over the last two and a half years has made me believe he is not the same person I knew." We may soon find out what kind of a person he is — van der Sloot was arrested in Chile, but he's now being extradited expelled to Peru, where Flores was killed. US Attorney Vance hopes to eventually try him for the extortion charge in the US. 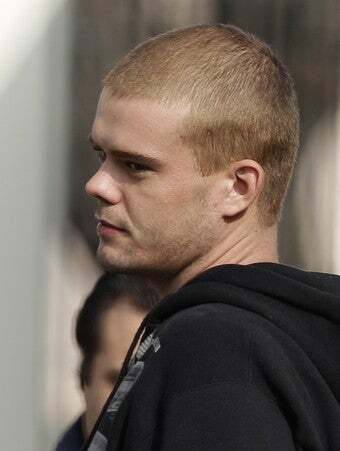 At this stage, it's hard to know what to take from van der Sloot's new charges. Natalee Holloway's uncle says they indicate a failure of the justice system: "He was not held accountable for what happened to Natalee and as a result has been able to repeat his actions. Sorry this other family has to go through the same thing we have." Van der Sloot did incriminate himself in the Holloway case, even confessing on a videotape released in 2008 that he had witnessed Holloway's accidental death and helped dispose of the body — but he later recanted the confession, and authorities in Aruba never felt they had enough evidence to charge him. Others have taken van der Sloot's alleged crimes as a sign that young women shouldn't travel alone (or at all), but they could equally be used to illustrate the need to identify and treat troubled people of either gender before they become killers.